Dr.Tanya Rajdev was born in Delhi, the capital city of India and attended RV Dental College and Hospital where she obtained her Master’s in Dental Surgery in Prosthodontics (India). 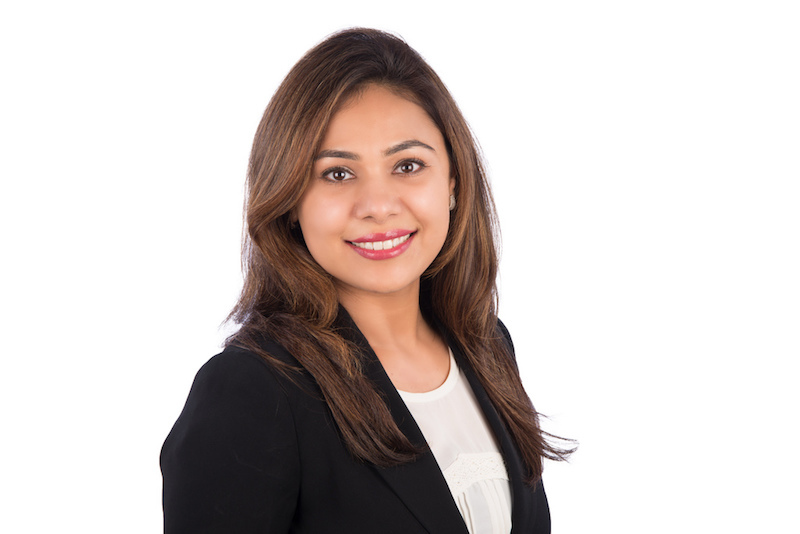 Dr. Rajdev moved to the United States in 2011 and attended the prestigious University of Michigan (UoM) where she obtained her dental degree, DDS in 2015. While at UoM she was also the recipient of “Dr. Norman H Mette” Scholarship, an award given to only 10 students in the entire school every year. Dr. Rajdev moved to Cary, North Carolina with her family looking for better weather conditions. She enjoys continuing education and staying on top of the latest techniques. Her passion is to provide honest and world class care for her patients, while making them feel comfortable and stress free throughout the process. Dr.Rajdev is extremely detail-oriented, and understands that each patient is unique so she takes the time to get to know patients and their dental goals and needs. When not in the office, Dr. Rajdev enjoys road trips, watching movies and spending time with her husband, Sumit and daughter, Aisha.